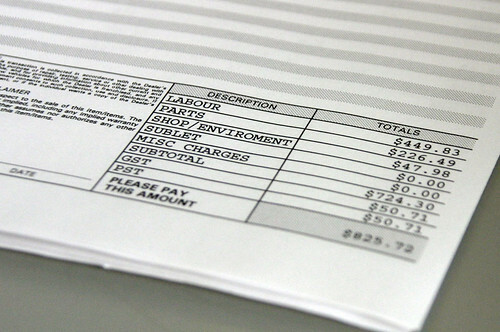 Small business journalist Ben Lobel reports that the average UK SME is owed £11,358 in unpaid invoices, while one in five SMEs are owed more than £30,000. The total amount of money owed to all the SMEs in the UK is more than £55 billion. When your company started out, you probably didn’t intend to become a creditor to other businesses who fail to pay invoices on time. So who owes your small business money, and how can you get what you’re owed? Every business, even the smallest, needs a solid process for invoicing, following-up and making sure you get paid. Consider sending invoices digitally rather than sending paper in the mail. A digital invoice can include an instant payment link that lets the recipient pay the invoice online immediately, instead of adding it to a to-do list that never gets done. And the sooner that payment is made, the easier your business’ cash flow will be. Another benefit of invoicing digitally is that it’s easy to set up email reminders for late invoices. That will save you time and energy compared to going through a list once a week or once a month to follow up. And the range of cloud computing options for accounting and invoicing is impressive. If your client or customer fails to pay an invoice within a reasonable time, email reminders may not be enough to prompt them into action. Pick up the phone and ask them directly to tell you when they’ll make their payment. If you can’t reach your debtor by phone, send a letter reminding them of the invoice and explaining that this will be your last attempt to prompt them to pay before you get outside assistance to claim the amount due. In the worst case scenario, you may have to use the courts system to claim the money your business is owed. 360ict provides IT management services and support to SMEs in London and the South East. Not sure you’ve got the technical know-how to set up cloud-based accounting and invoicing software for your business? We can help – give us a call on 0208 663 4000.